This modern inspired tubular designed pewter mezuzah case has very sleek and contemporary characteristics. The case boasts an elegant background border and is decorated with the three Hebrew letters Shin, Dalet and Yud in the length, the Hebrew name of G-d that is associated with the guardian of the home. The case has two holes on each end allowing it to be easily affixed with nails to the doorpost. This case is perfect for any indoor doorpost, for the home or office. 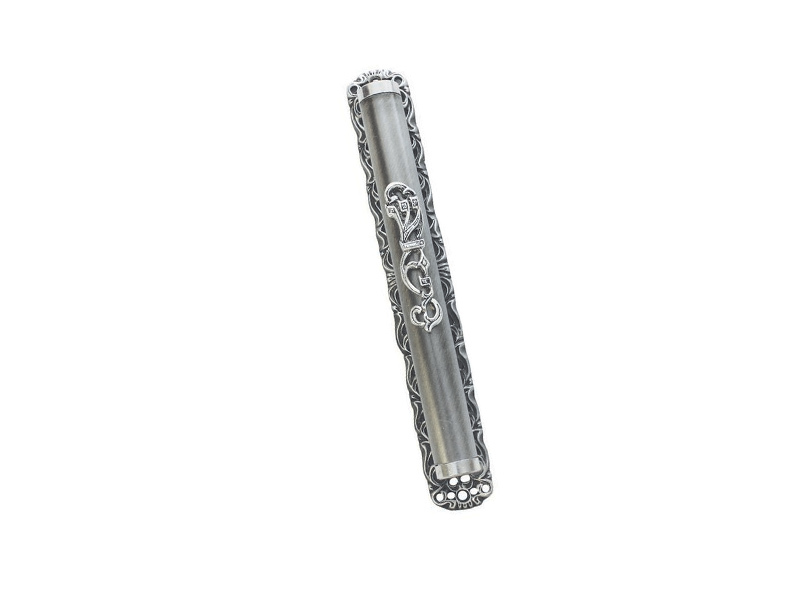 The case is available in different lengths to accommodate different mezuzah scroll sizes. While the mezuzah parchment is the essential part of the mezuzah obligation, it must be hung to a doorpost making a special case a necessity. The mezuzah parchment scroll is not included.